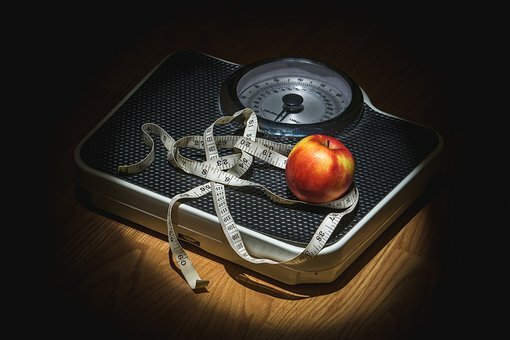 Why Combine Weight Loss and Addiction? First, let’s address why weight loss and addiction are similar. When it comes to the ways flotation therapy can help, there’s a very strong connection. Most research on how flotation REST (the traditionally academic name for flotation therapy) affects both weight loss and addiction centers around how floating can help individuals transform their behaviors and adopt healthier habits…like quitting smoking, drinking less, and eating better. When we’re discussing weight loss here, it’s in the context of psychology, and helping people learn to minimize overeating…not necessarily about physical components like increasing certain hormone levels, boosting metabolism, or enhancing exercise. While floating may have an effect on those aspects of weight loss, it simply hasn’t been studied enough to know for certain. However, it has been proven that floating reduces cortisol production. Our adrenal glands govern our stress response by secreting the hormone cortisol relative to our stress levels. When the adrenal glands are overworked, the body prepares for disaster, by storing fat. So, if you are chronically stressed out, which isn’t hard these days, your body is continually storing energy in the form of glucose which eventually turns into fat. Floating also helps people with body image which can lead to taking better care of their body. The time one spends alone in the tank, the more one can become more comfortable with them self and the more they visualize who they want to be. Thoughts can be very powerful, and for many, the firsts thoughts when floating focus on transforming one’s body. The same theory emerges again and again within most of the research diving into REST as a treatment for addiction: the relief from stress and anxiety, enhanced focus, and introspection found during REST helps individuals change their behavior. Think of it this way: many people turn to food, cigarettes, alcohol, and drugs to provide comfort during times of emotional distress (that’s why the whole idea of “comfort food” exists, after all). Addicts do so compulsively and may feel as though they cannot find relief anywhere else. Dr. Borrie proposes that when individuals struggling with addictive behaviors engage in REST, they find that comfort and safety in a completely different manner. That discovery leads to the aforementioned “disruption of habits” and “increased feelings of control” that can be key to changing behavior. The majority of the research around floating and addiction has been specifically regarding quitting smoking. In fact, REST has been studied as a part of smoking cessation since the 1970s, and meta-studies have found consistently positive results (2). For instance, in studies that combine floating or chamber REST with receiving anti-smoking messages, former smokers who utilize REST are less likely to start smoking again than those who don’t(3). In addition to its own inherent benefits, floatation therapy can help combat addiction and weight loss by enhancing other avenues of treatment. For instance, meditation has been shown to reduce both substance abuse(4) and emotional eating(5), and floating is well regarded in the meditation community as a way to greatly complement regular meditation practices. Similarly, reducing stress is a known way to help prevent relapse for recovered alcohol and drug addicts (6), and floatation therapy has been shown to significantly lower stress. As we said, there’s no magic cure-all or quick fix when it comes to complex issues like weight loss and addiction…but the research shows that floating can be an incredible supplement to treatment programs for substance abuse and to promote weight loss. And unlike most medications, floating does not come with a lengthy list of possible side effects. Ready to see the potential effects of floating for yourself? Book a float online today at #SynergyFloatCenter www.synergyfloatcenter.com or better yet, become a frequent floater, and learn more about our monthly membership options! 1) The use of restricted environmental stimulation therapy in treating addictive behaviors. Roderick A. Borrie. The International Journal of Addictions, 1991. 2) Restricted environmental stimulation and smoking cessation: a 15-year progress report. Peter Suedfeld. The International Journal of Addictions, Aug. 1990. 3) Restricted environmental stimulation therapy of smoking: A parametric study. Peter Suedfeld, Gloria Baker-Brown. Addictive Behaviors, 1987. 4) Treating and preventing alcohol, nicotine, and drug abuse through transcendental meditation: a review and statistical meta-analysis. Charles N. Alexander, Pat Robinson, & Maxwell Rainforth MS, MA. Alcoholism Treatment Quarterly, 1994. 6) Mindfulness meditation as an intervention for binge eating, emotional eating, and weight loss: a systematic review. Shawn N. Kattermana, Brighid M. Kleinmanb, Megan M. Hooda, Lisa M. Nackersa, Joyce A. Corsica. Eating Behaviors, April 2014. 7) The role of stress in alcohol use, alcoholism treatment, and relapse. Kathleen T. Brady, Susan C. Sonne. Alcohol Research & Health, 1999.